TESCO Express is positioned on Valley Drive, a 1.13 mile driving distance south-east of the centre of Gravesend, in Westcourt (nearby St. Aidan's Church). This supermarket is situated in a convenient location to serve the customers of Kings Farm, Westcourt, Gravesend Town Centre, Windmill Hill, Parrock Farm, Whitehill, Christian Fields and Singlewell. Today (Friday), operation begins at 7:00 am and continues until 11:00 pm. Please see this page for further information regarding TESCO Gravesend, Valley Drive, including the working hours, address particulars and telephone number. TESCO Express is situated in an ideal space not far from the crossroads of Valley Drive and St Benedict's Avenue, in Westcourt, Gravesend. Only a 1 minute trip from Hillside Avenue, Wye Road, Thomas Drive and Winchester Crescent; a 4 minute drive from Rochester Road, East Milton Road and Old Road East; and a 11 minute trip from Lord Street and A2. The postcode for your Sat Nav is DA12 5RT. Buses regularly operate to Westcourt Inn, Lorton Close, Hillside Avenue and Winchester Crescent. The local train runs regularly to and from Gravesend Station (1.30 mi away). The current accessible line: Southeastern. By foot you may find Gravesend Rfc, Westcourt School, Windmill Bowls Club & Belle-Vue Bowls Club, St Joseph's Convent Independent Preparatory School, Old Gravesendians Association, St John's School, Mid-Kent Golf Club, St. Peter & St. Paul and Gravesham Bowls Club. With this store, TESCO runs 6 different branches in Gravesend, Kent. Access this page for the entire index of all TESCO locations near Gravesend. During legal holidays, daily opening times for TESCO in Gravesend, Valley Drive may be adapted. For the duration of 2019 these changes apply to Xmas Day, New Year's Day, Easter Sunday or Early May Bank Holiday. For precise info about the seasonal operating hours for TESCO Gravesend, Valley Drive, go to the official homepage or phone the direct contact number at 0800 50 5555. Opening Times in the UK's desire is to provide you with the most accurate information as possible. If you have found that the contact info or store hours for TESCO in Gravesend, Valley Drive are incorrect or have changed, please make use of this form to report a problem. 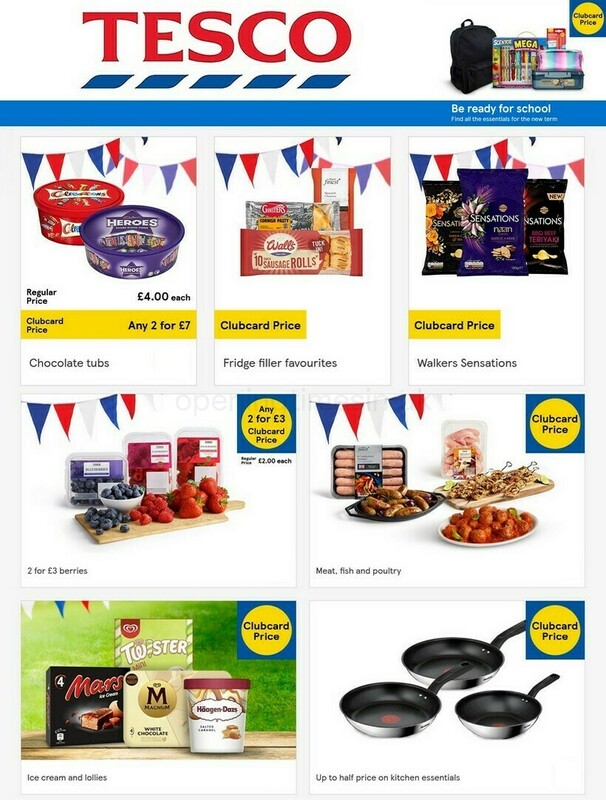 Please critique TESCO. Your feedback is appreciated! Voice your comments in the space provided below.